It is now redirecting to bbc.co.uk/sounds with the BBC Sounds logo. Dan Taylor-Watt, Head, BBC iPlayer & BBC Sounds writes about the update to the BBC Sounds web homepage: “At the top of the homepage is the Listen Live section, showing what’s on all of our national radio stations (and how far through the programmes are), with links to view all stations (including 40 local stations) and schedules. 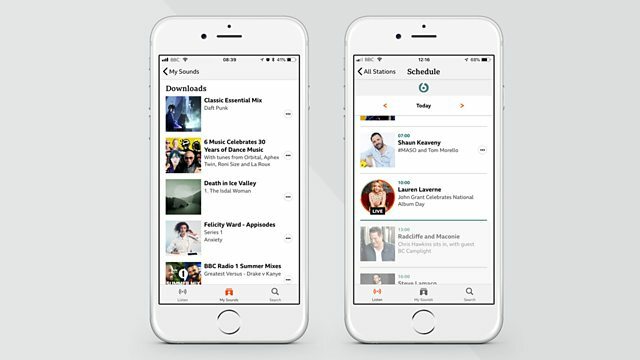 Clicking on a station takes you straight to our new live playback page, where you can instantly restart the live programme and, for music programmes, see recent tracks (both features we’ll soon be bringing to the mobile app). “The homepage also has various sections designed to help you discover and enjoy the best of our on-demand programmes and podcasts and stay in control of your listening. 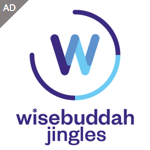 As on the mobile app, Continue Listening displays episodes and podcasts you’re partway through, so you can easily pick up where you left off, whether that was on a computer, tablet or mobile phone (your listening seamlessly syncs between the website and mobile app). Recommended For You, as the name suggests, provides a dozen recommendations of audio we think you’ll enjoy based on your listening – the more you listen, the better it gets. Clicking on any on-demand programme or podcast takes you to our new on-demand playback page which, after playing your chosen selection, automatically cues up a playlist of other on-demand audio to continue your listening experience, much like our broadcast stations. Have a look at the new page here and watch out for more information after the official launch on October 30th. I thought the BBC were suppose to be cutting costs, they have so far reverse all the cuts to local radio, bbc parliament channel. The proposed FM swiich off & know the spending even more money on a new online app. I guess they will want to increase the licence fee again. Plus I forgot spending a fortune on LW & MW no one listens to. They have an in-house development team, so they didn’t spend “even more money” on it. Yet more re-arranging of the deckchairs on the Titanic. Downloads are already included in the Sounds app. They were added in the last update. I really don’t like the new format, it’s too flashy. I don’t see the point. IPlayer was familiar, easy to use. Seems to me someone’s showing off, for as a constant listener I was never asked about any changes other than the questionnaire which I used to convey my satisfaction. For heaven’s sake pack Sounds off to the archives.